Whenever I enter a museum or a historical building, I automatically look up. I'm always curious to see what they've done with the ceiling. 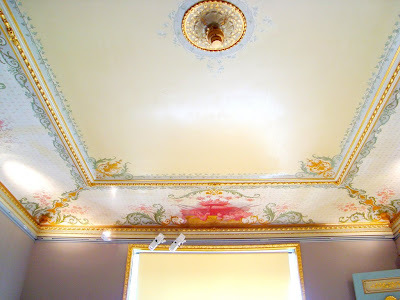 Is it decorated with a fresco painting? Mosaic tiles? Perhaps it's a hammerbeam roof. 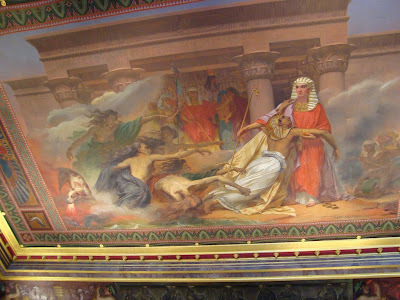 I'm pretty sure no one builds houses today and thinks to paint a fresco on their ceiling. Not even a decorative pattern. 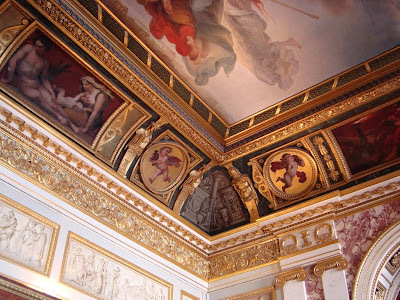 So with this post, I want to show you some historical buildings with ceilings that are even more beautiful than the furniture. Photographs all taken by me. 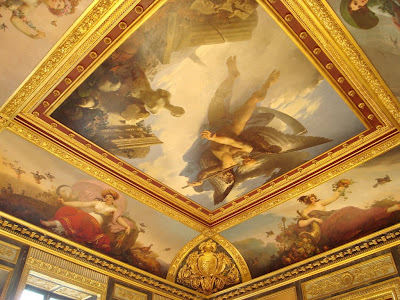 One of the many painted ceilings at Musée du Louvre. This one almost looks like an actual painting. 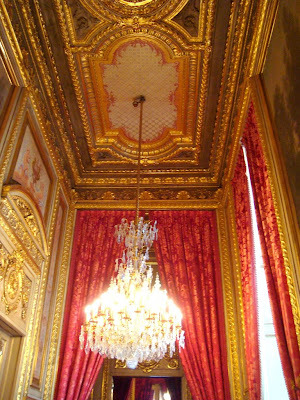 Napoleon's apartment makes quite an impression. 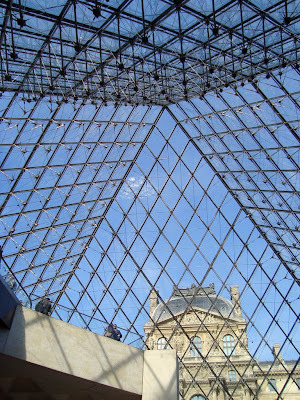 The ceiling from the pyramids at Musée du Louvre. 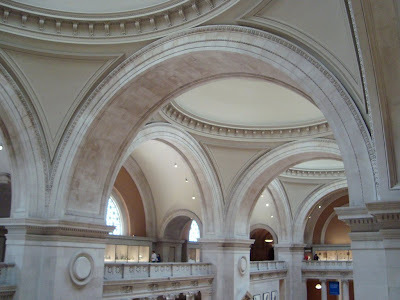 Gorgeous architectural ceiling from New York's Metropolitan Museum.